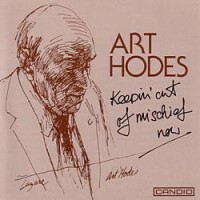 In the summer of 1989, one of the improvisers featured at the annual JVC Jazz Festival (formerly the Newport Jazz Festival) in New York was Art Hodes. 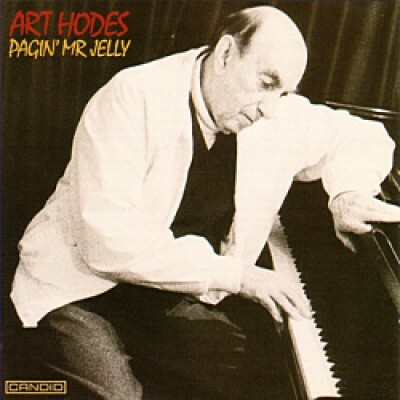 As is usually the custom these days and nights, Art was playing solo piano deeply rooted in classic blues and in the classic works of such grandly original jazz composers as Jelly Roll Morton. Hodes has had one of the longest and most uncompromising careers in the history of the music. He plays these compositions of Jelly Roll Morton with not only abiding affection but also with precise knowledge of the intricate ways in which they work. Moreover, art understands the personality of Jelly Roll, and therefore understands that in each of these pieces, here is drama. Different kinds of drama, but always a play of emotions, memories and anticipations. These pieces are among the cornerstones of a classical jazz education. This is a set for pleasure - which after all was Jelly Roll's aim, for he was an entertainer but it's also for the ages. It's a tribute by a musician, who insisted on remaining true to the standards that brought him into this calling as a boy.